Mont Albert is a respectable suburb, home to many families, small businesses and a local train station. Greater Melbourne is wonderfully green, with tree-lined streets, and gardens are a source of pride and joy, no matter the size. Mont Albert is no exception and Greenbelt Garden Care is routinely called on for lawn mowing and scheduled garden maintenance for residential and commercial clients. Whether you need weekly garden maintenance at your Mont Albert residence or a once-off garden tidy, Greenbelt Garden Care will provide the gardening services you need at your home or business. We have been servicing one of our Mont Albert clients for more than five years, caring for the client’s lawns, pool and garden. We installed a sprinkler system to keep the lawns and plants healthy between visits. We also care for a number of body-corporate run properties – mowing, blowing, pruning, hedging and weeding, taking the headache out of routine maintenance for your investment property. We are happy to service homes with small yards through to school grounds and sport fields. No job is too big or too small for our dedicated team of gardeners servicing Mont Albert. 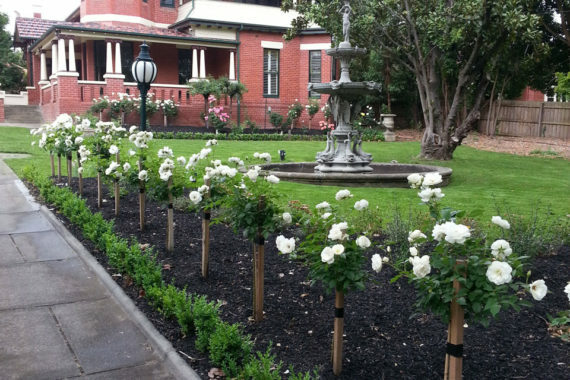 We also take care of Templestowe’s gardening needs, including commercial and residential mowing.